The area of public relations is a complex one, with many different facets to think about. In general, a public relations company is an organization that a brand turns to when they need help building or maintaining the right image for their business. A public relations specialist is the key professional that works to serve that purpose, coming up with creative ways to promote a company’s positive reputation. Essentially, public relations specialists are masters of networking and communication. They convince members of the public, media professionals, and critics to say and write nice things about a company, so that brand’s image can continue to grow. A public relations specialist can take on many tasks as part of their career. Let’s dive a little deeper into the role that public relations specialists play – and what they can do for a growing or established brand. 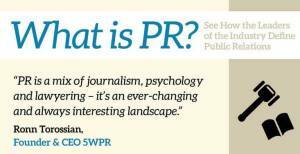 What Do Public Relations Specialists Do? A PR specialist, unlike a PR representative who often works at a PR agency, work on the staff of a specific company or enterprise. Once a PR specialist finds their place with an organization, their job will be to promote various services and products. However, if a PR specialist chooses to work alongside a non-profit organization, they may spend more of their time raising awareness of issues, accomplishments and activities. No matter what kind of group a PR specialist works with, their underlying job is to get the word out. These experts are the key to maintaining the positive reputation of a brand, by making sure that the good things said about that company outweigh the bad. Public Relations specialists can be responsible for generating press releases, maintaining and establishing relationships with the press, and creating strategies for online marketing. Public relations specialists work best when they understand the attitudes, values, and concerns of the groups they represent. As such, it’s up to these specialists to maintain strong relationships with their clients. 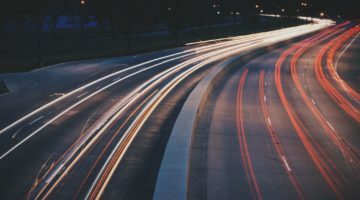 Many PR specialists are experts in relationship management, as they spend much of their professional lives building connections with relevant news outlets, media professionals, and other individuals who might be important to their role. Public relations specialists also help to develop and improve the image of corporate events, improving company image and identity by showcasing their beliefs in creative and unique ways. In addition, in certain circumstances, a public relations specialist can repair the damage done to a company’s reputation by slander or inappropriate comments that might have appeared elsewhere on the web. Online reputation management is often a common part of the public relations specialist role in today’s digital world. Public Relations specialists are experts in getting the right information out about a company, through the best channels, so that they get the best exposure to their target audience. With the right PR team, any company can preserve their image both online and offline, reducing the risk of scandals and misunderstandings. Though every PR specialist is different, these experts will always be exceptional at controlling and managing the quality of a company’s image.